Just a few days till Christmas and, as every year, It is time to make a balance 2018! This year has been, for Twingroup, a really rich period with a lot of news and important projects. The approval of the law about Invoicing B2B gave us numerous projects for our Infor XA and LX customers and we have worked together to get them conformed to decree law before it will enter into effect on the 1st of January 2019. We have enhanced our expertise on the IBM i platform, becoming a global technology partner on IBM i. 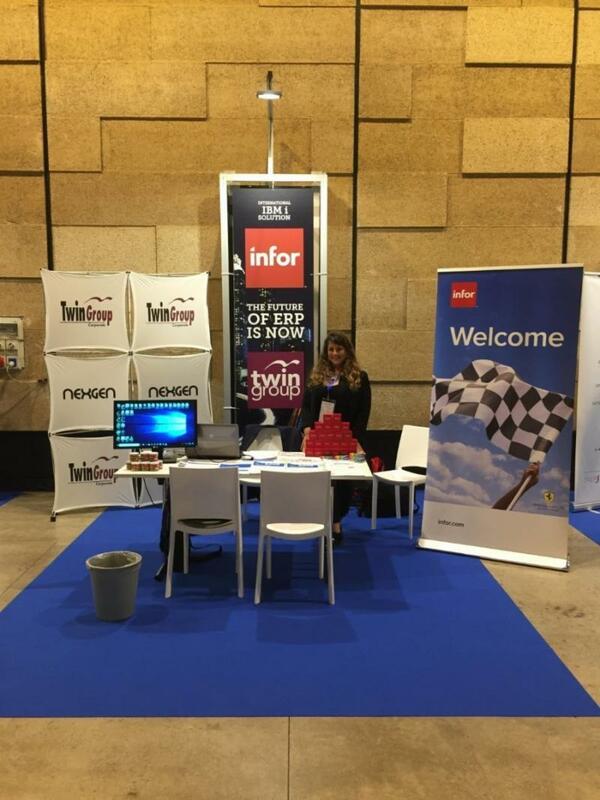 We joined the "App-i Day / Happy Birthday IBM i" in June 2018 to celebrate the 30th anniversary of the platform together with Infor and IBM. On this occasion, to strengthen the historic link between IBM and Infor or the IBM Infor Alliance, we hosted at our stand, Timothy Wilson, IBM Global Marketing Manager (Infor), who was the spokesman of this deep international relationship between the two companies. During the event Alison Butteril, IBM i Offering Manager of IBM, presented the future scenario of the platform and the investment plan until 2028. During the year, we have consolidated our partnership with Infor and strengthened our experience on Infor XA with the Meridian Bioscience project which went live on december 3, 2018 and with the SKF Industries go live for the Bari site, already our customer for the RFT plants . We have also strengthened our relationship with Interform, our Danish partner, and we have dealt with several Output Management projects in Italy. Our more than twenty years of experience in manufacturing has enabled us and allows us to support companies in the adoption of new production technologies, proposing innovative and increasingly efficient business models. 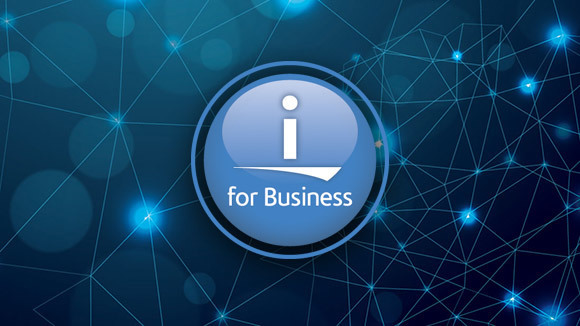 In 2019 we will move in this direction in an even more structured and complete way, with a joint and powerful offer of Infor ERP solutions on IBM i, Infor OS for digital trasformation, Aptean Factory MES and Infor EAM to optimize production and asset management, Interform to manage enterprise documents. We have many new projects starting for the new year and our team will be ready to support you for any IT requirements. We take this opportunity to make our most sincere wishes for Happy Holidays! Twingroup, a leading company in Enterprise World-Class solutions on IBM i platform, already Infor's historic partner, is now able to provide a global support for IBM i customers. Thanks to the deep knowledge of Infor solutions on IBM i, to the dated experience in the application field and to its technical network, Twingroup is able to offer a complete reference point for your AS 400 IT infrastructure. We are able to assist italian and international companies with services in: IBM Power & Storage, Integration storage, server virtualization, sizing analysis and manufacturing systems, backup & Disaster Recovery, Business Continuity (HA), access management, data encryption and networking systems. On the 7th of June 2018, the long awaited "App-i Day/Happy Birthday IBM i" event was held in the 90 Studio of the East End Studios in Milan. A unique and special opportunity to celebrate 30 years birthday of the IBM i platform together with its more faithful business partners. Twingroup Global Solutions and Infor could not get away absolutely this opportunity to make an exchange of ideas, to gain visibility and to confirm their more of 20-years fidelity to the platform. Aptean, a leading global provider of mission-critical, industry-specific enterprise software solutions, has formed a strategic partnership with Twingroup in Milan, Italy. This partnership is another key milestone in Aptean's continued growth strategy in the European market. Twingroup will sell and support Aptean's industry-leading manufacturing execution system, Aptean Factory MES. Process and discrete manufacturers use Factory to provide real-time visibility into production and quality operations, enabling the transition toward a paperless floor. In connection with the Industry 4.0 Paradigm, Enterprise Asset Management has become a priority theme for manufacturing companies. We are talking about "Advanced Plant Maintenance Management" supported by Software systems that have this objective as their strategy. Hexagon, a leading global provider of information technology solutions , announced today the acquisition of Catavolt, a US-based mobile app platform provider. Catavolt, founded in 2009 with headquarters in Atlanta, GA, offers an end-to-end platform for mobile application development and delivery, secure cloud orchestration and edge computing (real-time). For those familiar with the basic implementation of products such as ION or Ming.le, you know the laborious task of tracking down the proper licenses, installer files, documentation, and 3rd party applications/plug-in requirements. On top of that, the infrastructure planning and deployment models can quickly become complex as well. Infor customers and the partner network have all expressed the same sentiment. Infor solutions bested SAP, Oracle, Netsuite, and Microsoft, among others, in the new enterprise software ranking conducted annually by Panorama Consulting Solutions, based on surveys of its customer users..
"Companies are being decimated by technology." One of the things that sets business software company Infor's apart from its rivals is its four-year-old creative division that designs the user interfaces for the company's inventory management, commerce, logistics, and financial management systems. According to an Enterprise Mobility Exchange 2016 report, 50.4 percent of their respondents are planning to invest in mobile app development tools in the next 12 - 18 months. Of those surveyed, 43 percent were responsible for mobile technology in their organization, and 57 percent considered themselves direct influencers of investments in mobile technology for their organization. 14.6 percent of those surveyed were considered C-level executives.